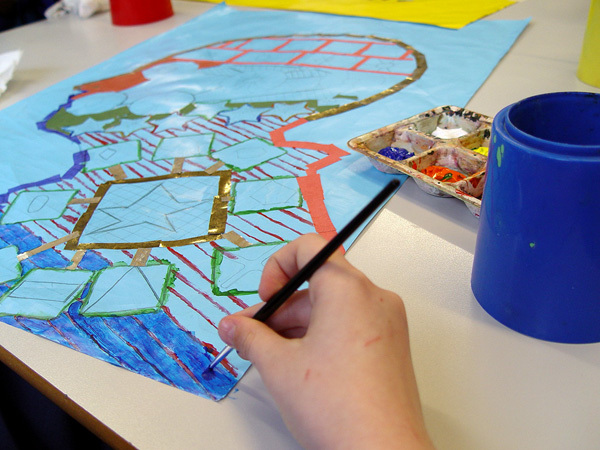 The Class 11 students at Turney School are preparing for their GCSE Art Exams. The main assessment will start in the spring term. We are using these final few weeks in the run up to Christmas to make sure that all students feel confident in their artistic abilities ahead of the assessment. 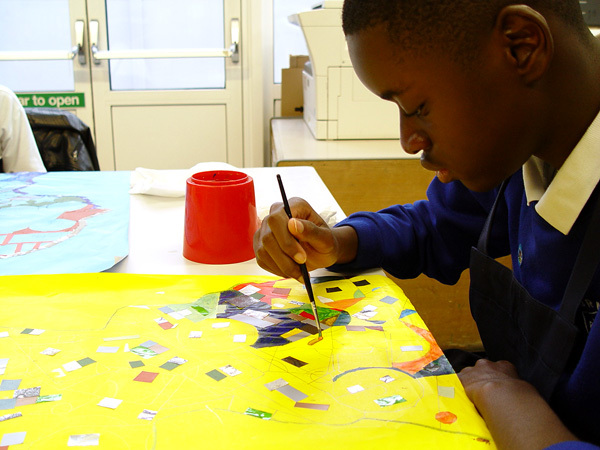 A recent piece of work has been inspired by the artist Chris Ofili. 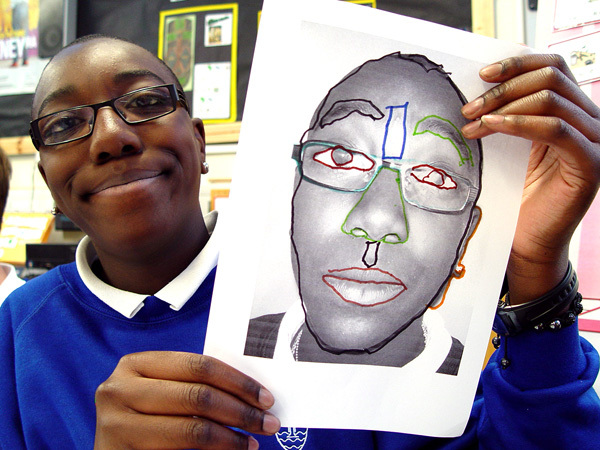 The students have been looking at the role of portraits as a form of artististic expression. Some pupils have created a blown up image of their own head shape using the class projector. These profiles have been given a unique individual feel with some incredibly delicate collage decoration. Other pupils have taken photographs of their own head profile, and then used different techniques to help manipulate the image. 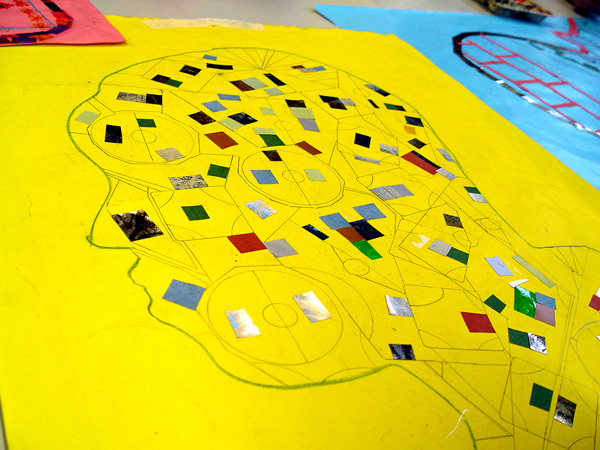 We have asked the students to think about the symmetry of the head shape, and to use mirrors to create an accurate self-image.